With over three decades of experience, Jack Ristau has been a driving force in developing, constructing, and operating municipal infrastructure facilities, including solid waste management and energy recovery projects, in the United States and overseas. Since joining Wheelabrator in 1984, he has developed many notable resource recovery business activities as well as directed several projects in the Far East, Mexico, Turkey, United Kingdom, Puerto Rico, the Bahamas, Jamaica, and Barbados. Currently, Ristau is director of business development and manages waste-to-energy project opportunities in the United States and Canada, supervising proposal development and customer contract negotiations. Prior to joining Wheelabrator, Ristau held project management positions at MITRE Corporation, Hayden, Harding and Buschanan Engineers, Inc., and Metcalf and Eddy, Inc. Ristau holds a Bachelor of Science degree in Engineering from Penn State and a Masters of Science degree in Industrial Management from Northeastern University. Biomass wastes can be transformed into clean energy and/or fuels by a variety of technologies, ranging from conventional combustion process to state-of-the art thermal depolymerization technology. Besides recovery of substantial energy, these technologies can lead to a substantial reduction in the overall waste quantities requiring final disposal, which can be better managed for safe disposal in a controlled manner while meeting the pollution control standards. In December 2008, the 84-acre coal ash surface impoundment at the Tennessee Valley Authority's (TVA) Kingston coal-fired power plant failed and released over a billion gallons of coal combustion waste. It's estimated that this release could ultimately cost a billion dollars to remediate because 300+ acres were covered by the flood of coal ash slurry. At question is does the U.S. need more traditional coal-fired power plants and what to do with the ash slurry mess? Fuel Cells Give New Meaning to "Green Grocer"
Some major chains have turned to fuel cell technology to help reduce their carbon footprint and their dependence on the electrical grid. Fuel cells provide clean, quiet, and reliable power to an industry that cannot afford to experience electricity outages. Stores are using fuel cells to generate heat, hot water, electricity, and even to power vehicles. It is Time to Cool it With Wind. The goals of the stakeholders of the wind industry are often seen as conflicting: Utilities and some customers argue that wind power is too expensive. The wind industry and environmentalists argue that the current fossil generation does not pay for the right to pollute and if they did, wind would be cheaper than other sources of power. To both it is time to cool it. In a unanimous vote, the Public Service Commission (PSC) recently cleared the way for Alliant Energy's Wisconsin utility to construct a 200 megawatt (MW) windpower plant project in southern Minnesota. Once operational, the Bent Tree project, costing upwards of $450 million, will be a productive source of renewable energy that will provide lasting benefits to Minnesota's economy and environment. Since it will be Alliant's Wisconsin customers who foot the bill, however, it is reasonable to inquire whether the current utility practice of outsourcing renewable energy production to other states is a good thing for Wisconsin's economy. Solar powered attic fans are cool! Having worked in attics for many years installing solar water heaters I know all too well how hot they get. I've measured 140 degrees F! Most homes have manual roof vents, which allow some nominal air movement, but they can't keep up with the sun pounding down all day. 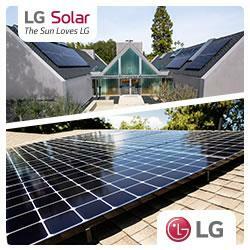 Wagner & Co is a leading provider of integrated solar thermal and solar electric systems solutions. Off -grid solutions were among the first solar electric applications and yet also developed into a particularly innovative field, where new technologies, approaches and combinations are being tested. Off-grid - or "Island" - systems, as they are also called, can be found in many new infrastructure projects. You can go to Shanghai for a vacation, buy two or more of these cars, one for your wife and one for yourself, and one for each of your kids, have them shipped home and still spend less money than if you bought a car at home. The Dow Jones Industrial Average recorded its best month in nearly seven years, posting an 882-point boost since Friday, July 3. In fact it was the best July for Wall Street in twenty years. Gains for the week for the Dow and NASDAQ were meager however, with both gaining less than a percent. The 20SSI decreased 5.8% from last week's close but the net gain since July 3 was nearly 22 points. On April 30, 2009, Mayor Michael Nutter unveiled the first of 500 BigBelly solar-powered trash compactors and 210 companion single-stream recycling units to be installed throughout Center City Philadelphia. The solar compactors save time, money and fuel by reducing demand for collection trips. The compactors are also smart trash receptacles: each unit sends a wireless signal to alert staff when it is full, so managers can optimize collection routes in real time based on data from every machine in the field. While the United States is rich in renewable resources for the production of green electricity, expansion and modernization of the North American power grid will be required to transmit that power to where it is needed. AAER Wind Energy have partnered with Fuhrl�nder to manufacture the Fuhrl�nder 1.5 MW wind turbine on a license in Canada. To identify and minimize technical risks in the process of buying 1.5 MW wind turbines manufactured by AAER, Sky Power Corp, Canada's leading independent renewable energy company awarded the contract to SGS to carry out Technical Due Diligence for the wind turbine technology.